In a rare show of force, Border Patrol agents fired warning shots from a Blackhawk helicopter to stop a panga boat that authorities suspected was smuggling drugs off the San Diego coast, the Associated Press reports. The boat was spotted by the Coast Guard, and men were spotted throwing what authorities believe were bales of marijuana overboard. 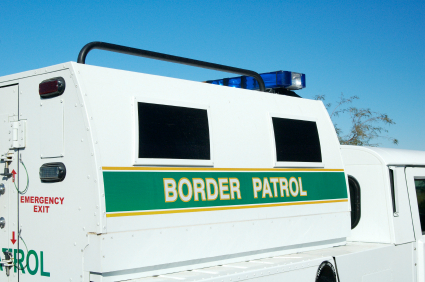 Two Border Patrol boats also became involved in the pursuit. Agents fired several warning shots after the boat refused to stop. The warning shots worked: The three men on the boat surrendered and stopped the boat. Border Patrol said it has never used such a tactic on the West Coast. Posted: 1/20/15 at 8:26 AM under News Story.